Congratulations to our August Student of the Month in Bangor, Zane Jones! At the 50% portion of his program, Zane is maintaining a 98 GPA. In the classroom and lab, he is more than willing to help others and has great recall of previously covered topics, showing a great commitment to learning. He is always on time or early and maintains a good, upbeat attitude. 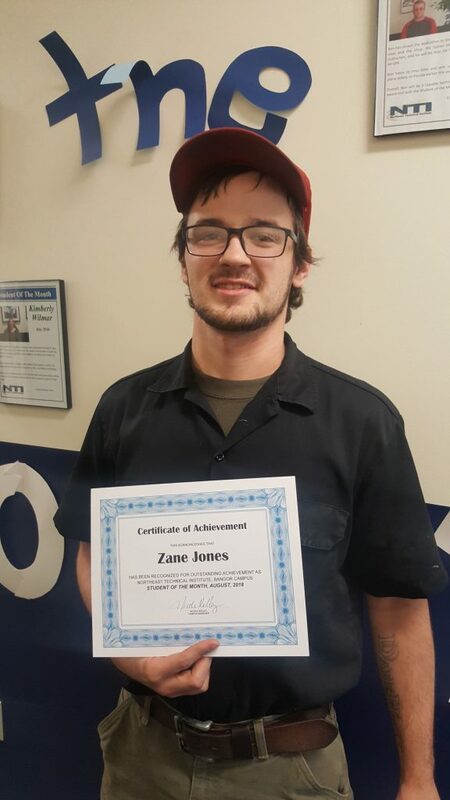 Zane will be a great team member with any company he works for and a good representative of NTI’s HVAC/R program. Keep up the great work, Zane!